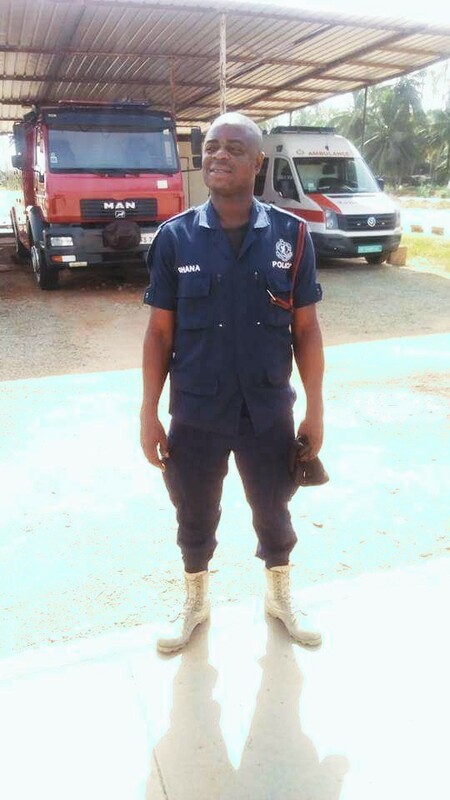 Ghanaian Police officer with a Marine Unit on operation Duty at the Osagyefo Power Badge has taken his own life on Sunday Morning 24/03/2019. According to multiple reports sighted by MANDYNEWS.COM, the Officer identified as Sergeant Fuseini Mahamuda Was among some policemen that was arrested for stealing items from the Osagyefo power Badge in Western region, Ghana. MandyNews.com reports, that the some items were stolen from the barge, which is located at Efassu, near Half-Assini, iterms include cables and fridges. The Osagyefo Barge is a 125 MW barge-mounted gas turbine electric power-generating station located at Effasu in the Western Region of Ghana. Well, Sergeant Fuseini Mahamuda couldn’t bear the shame of being accused wrongly of a crime he didn’t commit as he took his own life by shooting himself and leaving a note with his wife’s phone number and why he killed himself.